Stock certificates are documents that show shareholder ownership. They include the name of the company, the investor, the number of shares purchased, a signature of authenticity from an assigning authority, and a CUSIP number. It’s not a necessity for shareholders to own a physical stock certificate. However, you may request one from the company or your broker. When you ask a broker, they will contact the corporation on your behalf. This can reduce the amount of bureaucracy you have to deal with. Paper is used less in this era of electronic transactions. However, you can follow these steps to get your certificates. 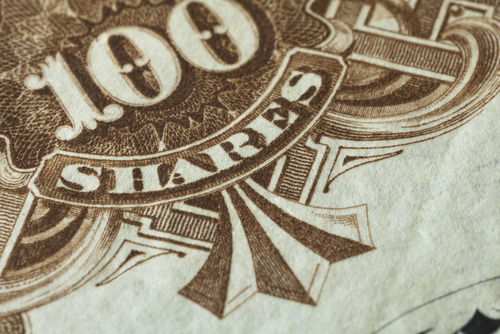 Search online and find how much different brokerages charge for stock certificates. Some firms charge as much as $100 for the certificates. An online search can help you compare brokerage fees for stock certificates. When you buy the shares from a particular company, there might be an option for a paper certificate. If so, tick the box and they should deliver it to your address. The trading program will alert you about the additional costs incurred when getting a stock certificate. You will only get the paper when you approve and pay the fee. You can still obtain certain stock certificates, although they’re fading away as records shift to electronic bookkeeping. The stock market has changed over the years. Since technology has improved, billions of dollars now pass hands during intraday trading. It doesn’t make as much sense for companies to issue stock certificates when the shareholders change so quickly. Companies still track investors who buy and sell their shares. Brokerage houses also keep this information, so issuing certificates would end up being redundant. Due to increased clerical work, companies are hesitant to send certificates unless investors request them. Another reason that traders avoid stock certificates is that some companies require investors to return the certificates when sold. Stock certificates were important documents in the past. Investors kept them in safe deposit boxes and other secure places. However, they’re going the way of the dodo. You can learn more about stock certificates on the Securities and Exchange Commission website. You can also find some top investing research on this website.